In the last week before President Obama left office, the Environmental Protection Agency (EPA) completed a multi-year review of its Accidental Release Prevention (ARP) program for toxic catastrophe prevention, and adopted significant expansions of ARP requirements (I wrote about them here). EPA proposed ARP revisions in March 2016 (I blogged about them here). Then, when President Trump took office, EPA reversed course, repeatedly deferring the effective date of those revisions while the agency reviewed them. In May 2018 EPA completed its review, and published a proposal in the Federal Register to rescind almost all these expansions and return ARP requirement to those in place before 2017. EPA also included an alternative proposal that retained a few more elements, and requested public comment on both versions no later than July 30, 2018. What are Existing ARP Program Requirements? Specify regulated substances, including 77 toxics and 63 flammables. Each substance has one or more threshold quantities that trigger compliance responsibilities (some have multiple quantities that depend on the physical state). Each also has exposure endpoint(s)", which are (post-release) environmental concentrations that would harm exposed people or the environment. Regulate stationary sources (borrowing the general CAA term) of those substances, based on an interconnected process with a threshold quantity of one or more regulated substances. 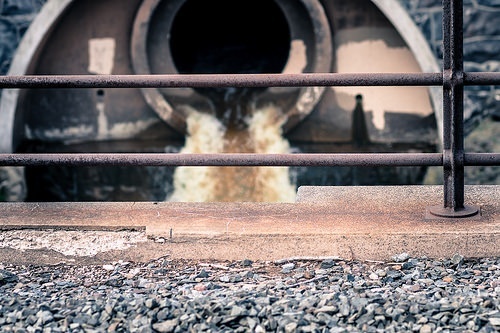 EPA assigns them to risk-based “programs” – Program 1 contains demonstrably low-risk sources, Program 3 are sources in industrial categories generally deemed high risk, and Program 2 sources are those not in 1 or 3. Registration with EPA/state, with source information (ownership, location, etc.). Offsite consequence analysis (OCA), modeling exposures from a “worst-case release scenario” (complete release of largest container). Program 2 and 3 facilities must also analyze “alternative release scenarios” that could exceed an exposure endpoint. Five-year accident history and description of post-accident enhancements. Prevention program (for sources in Programs 2 and 3), based on a detailed hazard review, with written operating procedures, maintenance and internal compliance procedures, post-incident investigation procedures, and training for all relevant employees. Emergency response program including procedures for notification and response, and training for relevant employees. Certification of the truth and accuracy of submitted information. Regulated sources are responsible for periodic and event-related updates. EPA reports that in the last decade, there have been more than 1,517 reportable accidents, 473 of which had offsite impacts including 58 deaths, 17,099 people who were injured or sought medical treatment, almost 500,000 people evacuated or sheltered-in-place, and over $2 billion in property damages. What Changes Did EPA Adopt in January 2017? What is EPA Now Proposing? EPA’s primary proposal is to rescind all the 2017 revisions, except for an administrative cleanup recognizing that the Occupational Safety and Health Administration (OSHA) replaced material safety data sheets (MSDSs) with more useful safety data sheets (SDSs) in a 2012 rulemaking (I wrote about that transition here). Requirement that a hazard review include findings from incident investigations. Retain the requirement that incident investigations be documented by “report(s)” instead of “summary(ies)”. Requirement that Program 2 processes establish an incident investigation team consisting of at least one person knowledgeable in the process involved and other persons with experience to investigate an incident. Requirements that training requirements apply to supervisors responsible for process operations (and make minor wording changes in the description of employees operating a process). Comments are due by July 30, 2018, after which EPA will move to adopt a set of revisions. Does the organization own or operate any facility with any “stationary source” subject to ARP requirements? If so, has the organization considered the impacts on its operations and compliance position under potential revisions?